Auntie Em's Studio: What a busy fall it's been! What a busy fall it's been! It's been a long time since I've posted! I've been very busy with the start of school, a new house and Christmas. I feel like now is the first chance I've had to breathe since September. Between working, cleaning, painting and unpacking and knitting custom orders and gifts, my time has been full of things that need to get done. 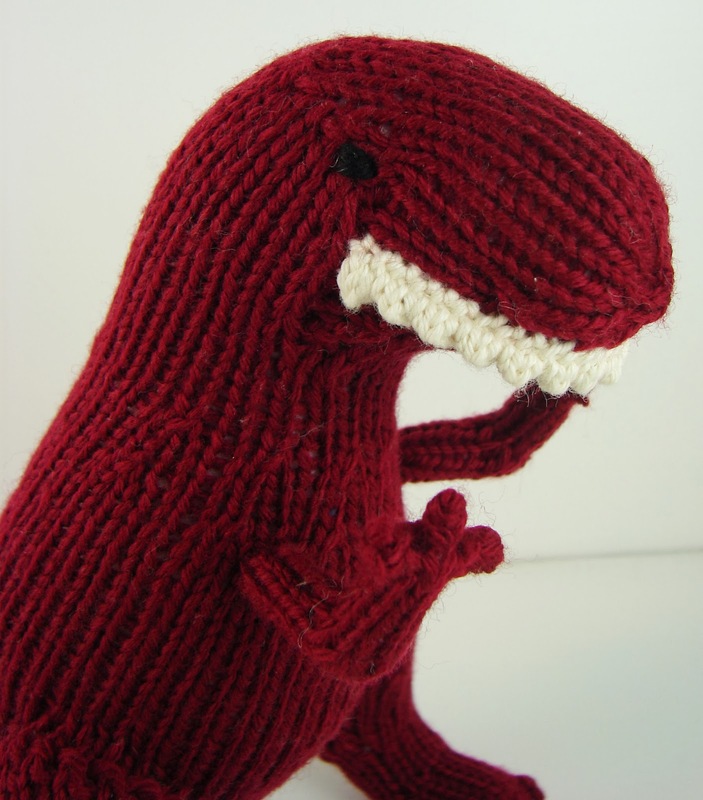 There is still a lot to do, but now I've got a couple weeks off from work for winter break and no looming deadlines for orders to be finished. Over the next couple of weeks I will post updates on the projects I've been working on for the last few months. 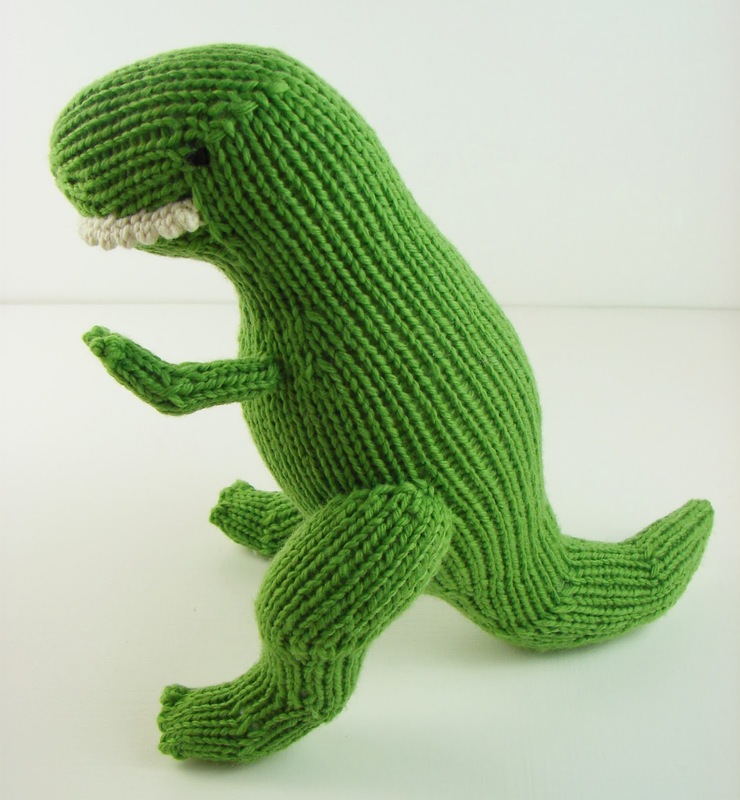 One major project I had going was finishing my T-Rex pattern. I was hoping to make it a bit simpler, but simplifying it would have changed the shaping too much. 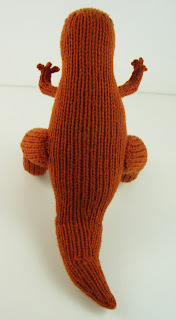 I think the shape of the legs in particular really make this pattern unique and are one of my favorite parts about it. 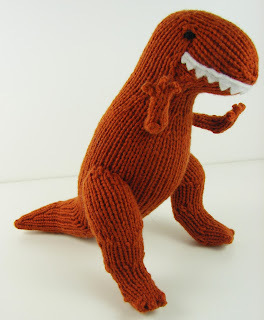 Orange seemed like another good color for a dinosaur. I did a little research to see what color T-Rexs actually were and couldn't find a good answer. 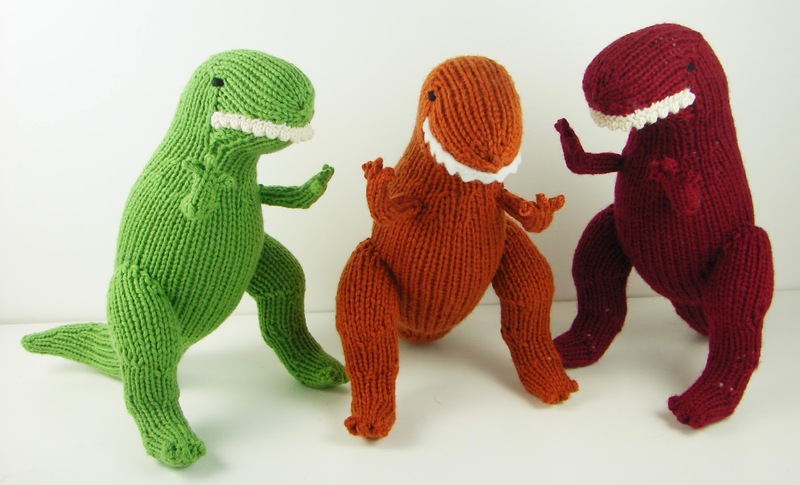 Apparently they can be whatever color you want, especially when you're knitting them! 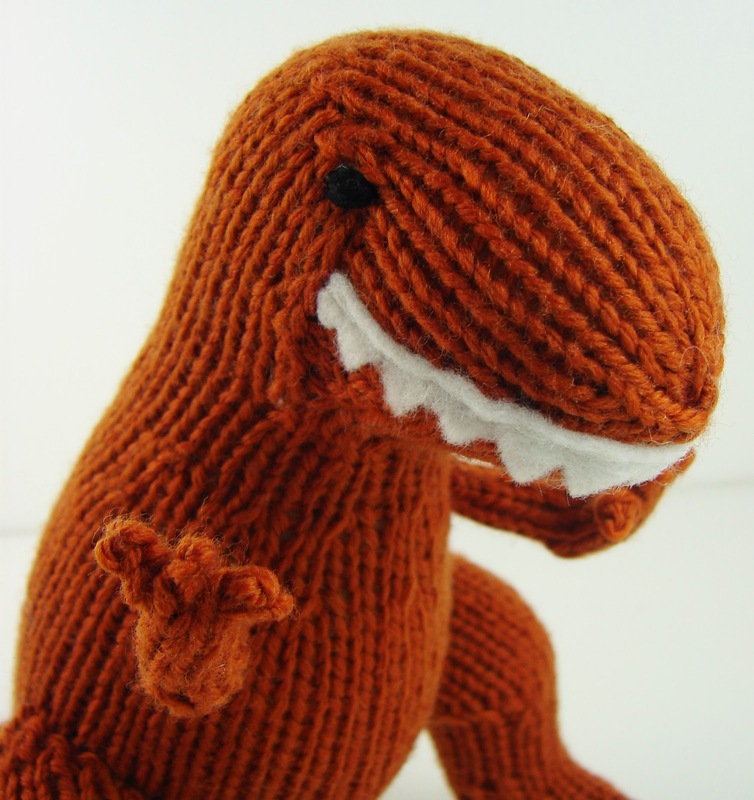 The orange dinosaur is also the only one left in my etsy shop right now. The other two sold rather quickly! 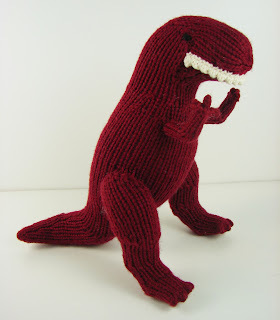 I'm sure I'll be making more before next Christmas season. On the orange dinosaur I used felt to make the teeth and sewed it on. I thought it would be nice to add another option to the pattern. Finally, I chose a deep red color. I wanted three different colors for the pictures to go with the pattern and these three looked good together. 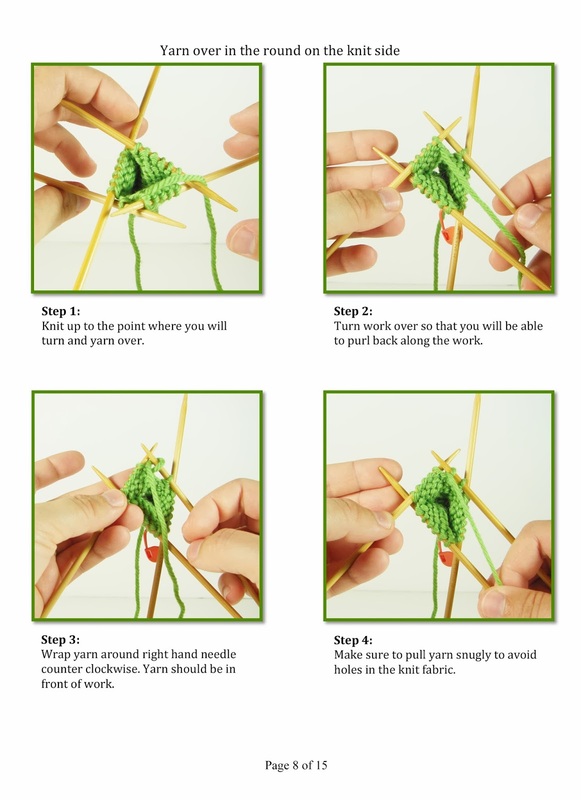 Because some of the methods I used were a bit challenging to explain, I included in my pattern a few pages of instructions with photos to show how to do them. Even with the pictures, however, some of it may be difficult for a beginner. 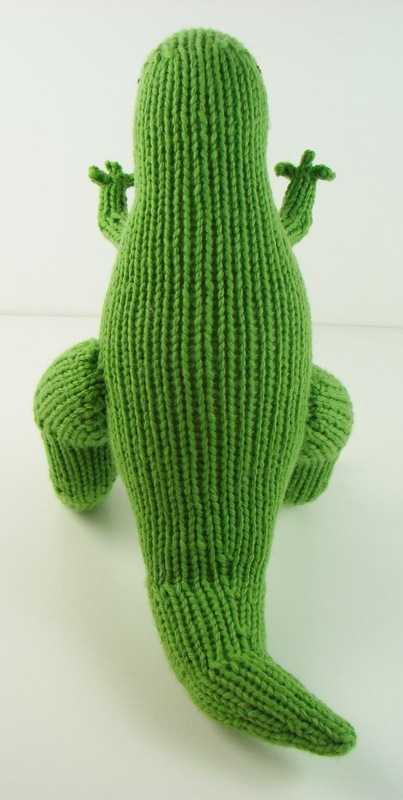 With this pattern I was a little nervous that parts of it would be too confusing or complicated. 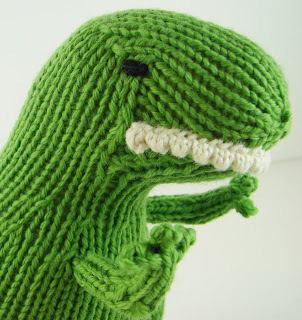 I always try to make my patterns as clear as possible so that knitters enjoy the process instead of getting frustrated or having to redo things. I still wanted to make the dinosaur available to other knitters, despite some of the challenges. 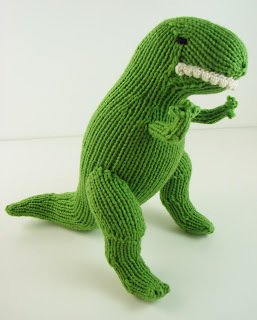 I think the end result is worth the work and I hope that everyone who knits one is pleased with the result. 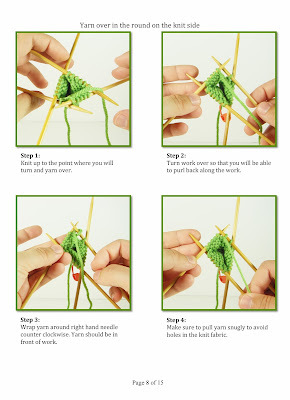 Here's one of the photo tutorial pages included in the pattern. 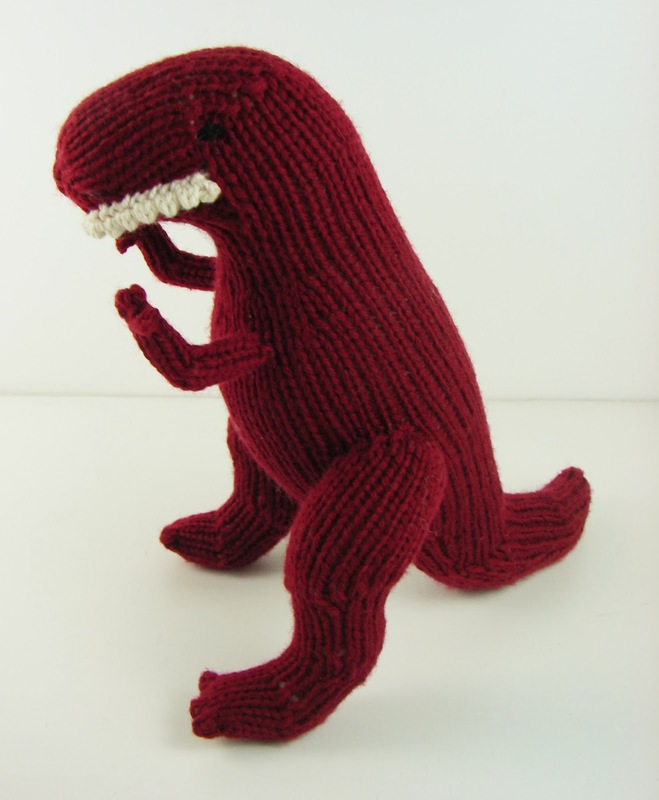 The T-Rex pattern is now on Ravelry. It does have some more advanced techniques, so I would recommend it for intermediate to advanced knitters. That's all for now, but I've got lots to share so I'll be back soon!